The Association is now taking orders for our unique 6 RAR Association shirts as pictured below. Orders will only be accepted on the order form which can be obtained here . Payment to accompany order please! The shirts are manufactured from COOL DRI, a high performance, quick dry, moisture management fabric which is a pleasure to wear. All shirts are beige with green or red piping, have a green or red collar with contrasting band and roman numerals VI knitted into the lapels. 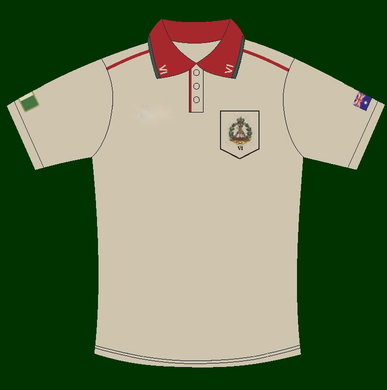 They feature an embroidered National Flag on one sleeve and the Anniversary shirt has a Battalion colour patch on the other. The pocket is embroidered with the Regimental Badge.